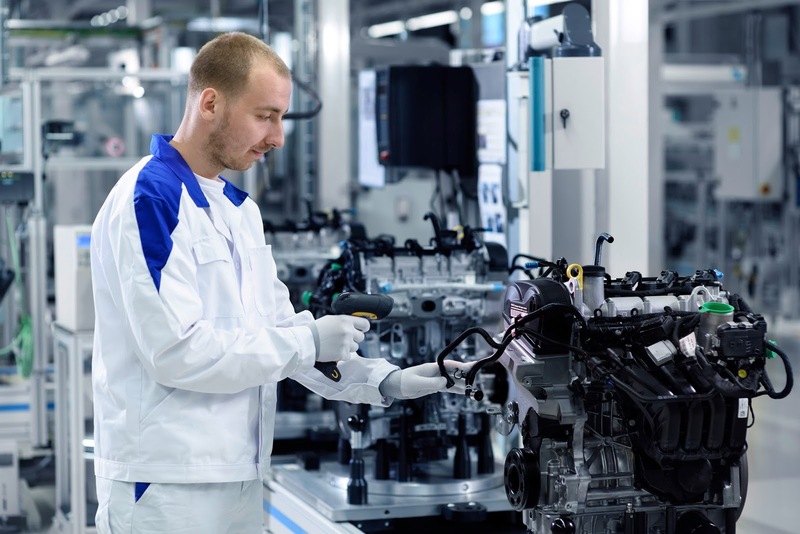 Volkswagen Group has opened its new engine plant at Kaluga in Russia. The plant will produce the newly developed 1.6-litre EA211 gasoline engine, which VW claims is “the most modern engine technology” in the group. The engines will be used in Volkswagen Polo and ŠKODA Rapid vehicles produced in Kaluga, as well as Volkswagen Jetta and ŠKODA Octavia and Yeti, built jointly with GAZ in Nizhny Novgorod. The annual production capacity of the engine plant will be about 150,000 units. The total investment in the plant has been about €250 million and 400 jobs in the region have been created. Volkswagen says it is the first foreign automaker to operate its own engine plant in Russia. The new engine plant has an area of 32,000 square metres and is to produce up to 600 modern 1.6-litre gasoline engines of the newly developed EA211 series per day. Volkswagen claims also it has set “extremely stringent” quality standards for the engines from Kaluga and has invested about €8.6 million in modern quality assurance systems. “With our new, modern engine plant, we will be supplying engines produced locally for our vehicles manufactured in Kaluga and Nizhny Novgorod. We will therefore not only be increasing the local content of our cars, we will also be making them more affordable for our Russian customers,” Marcus Osegowitsch, general manager of Volkswagen Group Russia, explained. Through the construction of the engine plant, Volkswagen is stepping up its industrial activities in Russia. In addition, VW will be fulfilling its obligations under the ancillary agreement to Decree 166 reached with the Russian government at the end of May 2011. This determines that, as of 2016, at least 30 per cent of vehicles produced in Russia are to be equipped with engines manufactured locally. With an output of 110 PS, VW claims the weight and carbon dioxide emissions of the new engine have each been reduced by 10 per cent compared with its predecessor. To ensure a smooth and trouble-free start of production, the new employees have completed comprehensive training at a dedicated training centre. Some 60 per cent of the employees at Kaluga have already completed training at other VW group plants, for example the main ŠKODA plant at Mladá Boleslav, German engine plants at Chemnitz and Salzgitter or in Polkowice, Poland.